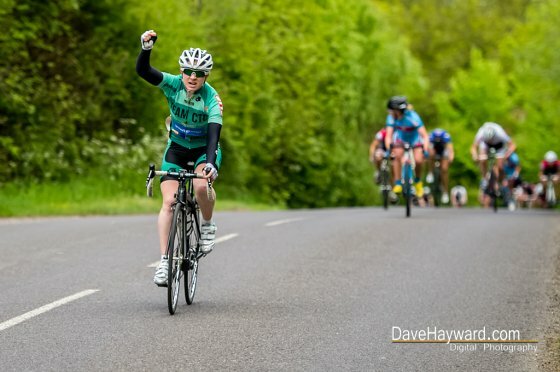 Champion for the last two years, Lydia Boylan (Team CTC) completed a hat-trick of South East Regional Women’s titles with victory in Kingston Phoenix RC’s 52-mile promotion on the Kirdford circuit. And the 25-year-old Londoner did it in style this time as she opened up a small gap to come home ahead of Karla Boddy (MG-Maxifuel Pro Cycling), the winner of the race in each of the last two years but ineligible for the championship. Alexei Shaw (Les Filles RT) took third place a few lengths down in Boddy in the uphill sprint with Kimberley English (Scott Contessa Epic) the leading junior in 11th place from an original field of 53 riders. Please credit www.britishcycling.org.uk and link back if you use any of our race results. British Cycling would like to thank the organising team, officials and everyone else who helped promote this event. Our sport could not exist without the hundreds of people, many of them unpaid volunteers, who put in many hours of hard work running events, activities and clubs.